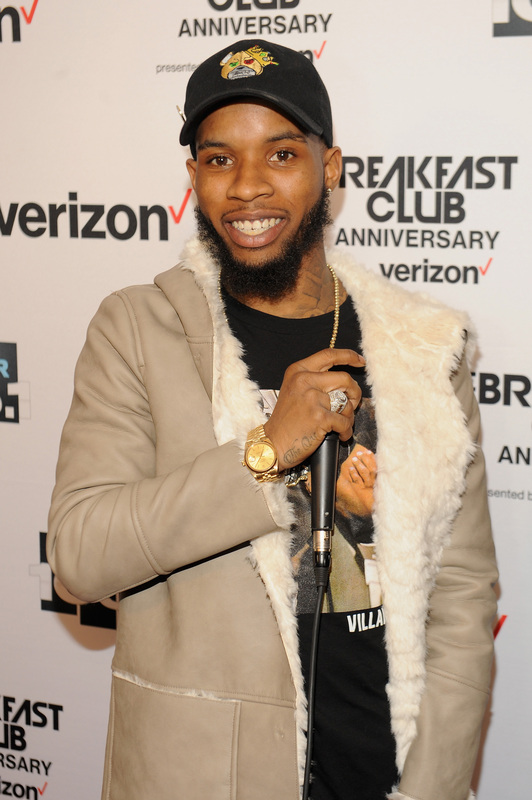 The second performer on the 2016 BET Awards Red Carpet was Tory Lanez, who followed up Jidenna's Sunday night opener with a buzzworthy performance of his hit "You Know." But, do you really know, though? While Lanez — real name: Daystar Peterson — has been killin' it under the radar for some time, it's time to get to know a little more about the singer, who is up for a Best New Artist award during Sunday night's ceremony. So, who is Tory Lanez? Turns out, the dude's got a pretty big connection to Justin Bieber. "I'm a big Justin Bieber fan. I've been a Justin Bieber fan. I've been listening to his music. OG, you know. That's also my friend too so, you know. It's just one of those things. We've been supporting each other's music for a long, long, long time. So I've just been hearing the growth of his and I just think it's amazing, especially that he's coming from Canada. It's a thing like that." Lanez, whose debut album I Told You So is set to drop later this year, has another big-name fan who has also sampled his work: Ed Sheeran. The redheaded Brit covered Lanez' hit "Say It," giving the track an acoustic vibe — and a lot of publicity. While the A-list recognition is instrumental to Lanez' career, it's clear that the guy is talented enough in his own right that he'll no longer be needing any big-names to help him out. Particularly after that album drops and if he wins the BET Award for Best New Artist Sunday night. And hey, dude's currently the top trend on Twitter after his red carpet performance. Get that publicity, Tory Lanez.